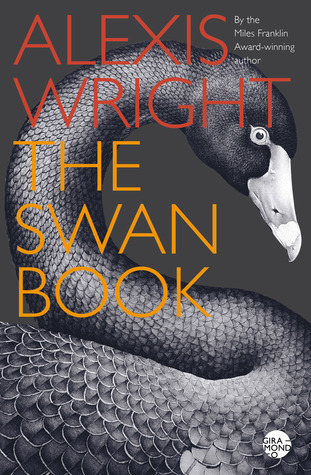 Waanyi, Gulf of Carpentaria woman Alexis Wright (1950 – ) is older than I am, which is to say retirement age, but The Swan Book (2014) is only her third novel. Her second, Carpentaria (2006) won the Miles Franklin. I listened to it a few years ago, but didn’t like it, found it an uncomfortable combination of standard outback story-telling and magic realism. I commented on this after a Whispering Gums post and she, Sue got me started on Indigenous Lit, Kim Scott’s That Deadman Dance first-up, until now I have a much better idea of how Indig.Lit works – and the crossovers between spiritualism and magic realism in non-Western Lit generally – and anyway I think now I probably confused Wright with white Australian author Alex Miller, and that shaped my expectations. The Swan Book is a great, swirling confusion of words that gradually coalesces into the story of Oblivia, an Aboriginal girl, mute after being raped, living in a coastal swamp in northern Australia, some time in the future after the countries of Europe have been lost in the Climate Wars. Through this cyclone of words drift scraps of the local, Waanyi language, lines of old songs, phrases from books and poems about swans, sly digs at the language of Indigenous Affairs – ‘Intervention’, ‘Closing the Gap’. Here are the elements from which we may construct a story: Oblivia’s people are the caretakers of country which includes a vast lake; the armed forces tow a flotilla of old and wrecked ships into the lake and abandon them there, to be used for target practice by the airforce; great dust storms close the channel to the sea and turn the lake to a swamp; Oblivia sleeps for decades in the bowels of an old eucalypt until she is rescued, still a young girl, by Bella Donna, an old refugee woman from Europe, and taken to live in a hulk in the middle of the lake; the army fence the lake, turn it into an internment camp, the better to protect the children. An elder, a healer for the country arrives, a wululuku, “an Aboriginal man with an Asian heritage … a half caste, yellow fella, or mixed blood urban Aboriginal … Someone with special healing powers who travelled anywhere he was needed, just by thinking himself into a sick person’s mind”, the Harbour Master. Bella Donna in her travels has seen all the types of swans, was led to safety by a white swan, swaps swan stories with the Harbour Master, carries books of swan stories which she reads to Oblivia. Black swans come up from the south and settle on the shores of the swamp. The old man and woman daydreamed themselves into every swan image on earth, and off they went again. There they go – la, la, la, the wild girl Oblivia whinged under her breath, excluded from entering their world of knowledge. The drought ends, the sand is blown away, the Harbour Master departs, Bella Donna dies, Oblivia lives on in the hulk. In a neighbouring community, the Brolga Nation, golden boy Warren Finch is being trained for leadership. He was the lost key. He was post-racial. Possibly even post-Indigenous. His sophistication had been far-flung and heaven sent. Internationally Warren. Post-tyranny politics kind of man. He comes to the swamp to claim Oblivia as his promised bride. They make a journey through the desert, escorted by bodyguards who are natural scientists, cataloguing wildlife – owls and snakes living on a plague of rodents. Warren in constant contact with the world through his mobile phone, until at last they leave behind their vehicle, leave behind the bodyguards, take a small plane from a remote outpost to a crumbling city on the coast. Oblivia is dressed in borrowed finery – “The girl looked into an oval mirror and saw herself like golden syrup in a cream dress with the same colour arum lilies of the land of the owls” – nods in the right places, is declared married, stands off to one side at the reception as Warren circles through his hordes of admirers and benefactors, is led by Warren through filthy streets to a flat on the upper floor of an apartment block, where he leaves her. The Harbour Master joins her. Food is left at her door. Over the years they see Warren, now President, on TV, accompanied by her, the promised bride. The swans find her again though many are injured swooping between the buildings, and she rescues them, keeps them safe in her flat. I’ve already told you a lot, elements of story gleaned from torrents of words. I won’t tell you the ending, though it’s not a great shock. As we have been with paintings, we are blessed to have been given this gift of literature derived from 50,000 years of oral tradition. Treasure Indigenous Lit. 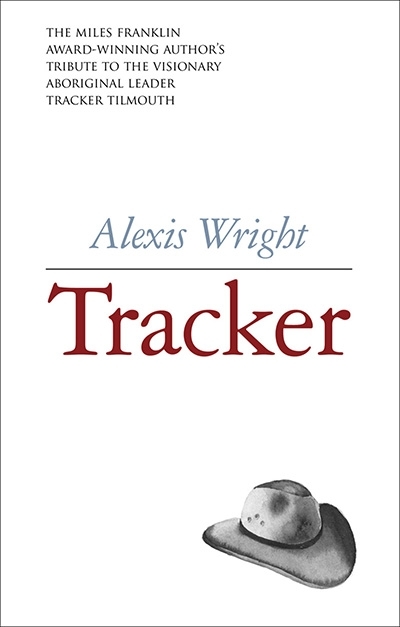 Treasure Alexis Wright, she is a great, great talent and we have had too little from her. I’m going back to re-read Carpentaria.